Wonderful. just what i needed to read. thanks for posting Steve! Is this curriculum similar to what you teach Stanford students, or do you adapt it for the all-scientists audience? I’m curious because I’ve adapted your methods for our Top Gun program but I know there are research institutions where the cultural change needs to happen and I don’t think the training will be quite the same. 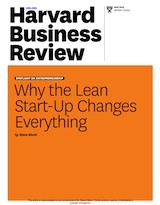 This group sounds like a very different “class” from the regular lean-start up participants that you, Eric and others mentor…meaning that these teams have a unique, disruptive technology with strong IP…they have a tremendous opportunity to connect with and leverage a number of BIG, Global company open innovation initiatives. Open innovation initiatives may include fulfilling an existing market need, new product introductions or adaptation, or to access new market opportunities. A typical “Pricing & Plans” revenue generation strategy, combined with implementing the latest sales/marketing 2.0 tools is not the way to go with this group. I like what Dr. Kandlikar is saying about how “get out of the building” can also refer to acquiring a new mindset. The process of fitting a product to a market is also a process of adjusting our own mindset to empathize with the needs of our customers. 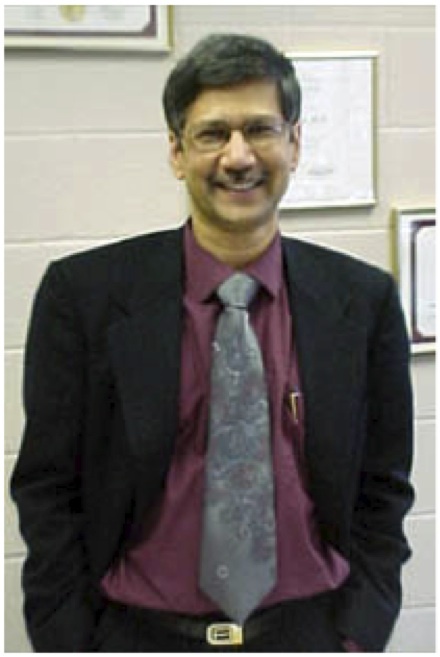 Best of luck and bon voyage, professor Kandlikar! While I strongly support researchers becoming familiar with product development and commercialization, my experience in working with a wide spectrum of private sector, university and government laboratories is that it is typically a mistake to convert a scientist into an entrepreneur. The question is “Why take a great scientist and make him or her into a poor entrepreneur?” A superior alternative would be to team the scientist with an established company and move the innovation to market by technology transfer. Few scientists have either the desire or skills to become businesspeople. We have a shortage of scientists and engineers. Let’s let them do what they do best. The US has few scientists & engineers because becoming one is very hard and pay is poorer relative to other fields (banking, fin, law, …). If many scientists become very rich by being great scientists and average entrepreneurs (I’d say it’s unlikely they’ll be poor entrepreneurs after this class), that’s going to be a huge motivator for people to get into science! And in most relationships between ‘established companies’ taking innovation to market, guess who makes the most money? As important, with the right market feedback (which is usually missing or very delayed in the tech transfer model), these scientists might end up building something entirely different and far more impactful than otherwise. Great stuff Steve.. I really need to get out of the building soon! 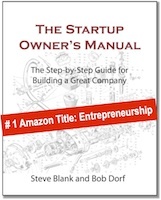 Thanks Steve, after Eric Ries “The Lean Startup”, your Lean Launchpad class experience is truly an inspiring real-life example. 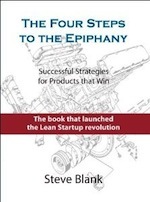 ‘Pivot’ is a critical move in lean startup.The fundamental change that Satish Kandlikar finds in his approach- shifting it from just publishing papers to applying research, say ‘ validated learning’, for making products to be accepted in the marketplace- is truly remarkable, which eventually substantiates the concept of lean startup process. Thanks for sharing the views of Satish Kandlikar. I pioneered a science and technology entrepreneurship program called “STEP” in four countries of the former Soviet Union in the mid-2000s, which is still running today. The program uses micro-grant incentives and market plan pitch competitions to foster scientist-business partnerships that bring innovations to market. The program has been very successful and I’d love to talk to you about what you are doing? Any thoughts or feedback would be very much appreciated.